Christmas Gift Guide : For the Ladies! December the first means it’s time to unleash the festivity here on Fashion Mumblr! I know, I know, you’ve already seen my guide to creating THE BEST Christmas table and also my Perfume Gift Guide, but today I’m kicking off a whole month of festive goodness with an absolute whopper of a gift guide. Yep, it’s my gift guide for girls! Or, for the ladies… ooh la la. As a beauty lover, naturally these gifts are pretty much all beauty related, but if that’s not your thing then don’t worry, there’s more non-beauty guides coming your way very soon. Firstly, kicking things off with my absolute favourite of all the gifts. The Clarisonic Mia 2 – Keith Haring design edition. I told you how much I’m obsessed with this in my gift guide video – and seriously, it’s life changing. OK, perhaps that’s a slight over-exaggeration but honestly this device is the queen of cleansing devices. It’s the equivalent of a Hoover in the vacuum cleaner world and the Jacuzzi in the hot tub world – you get my point. 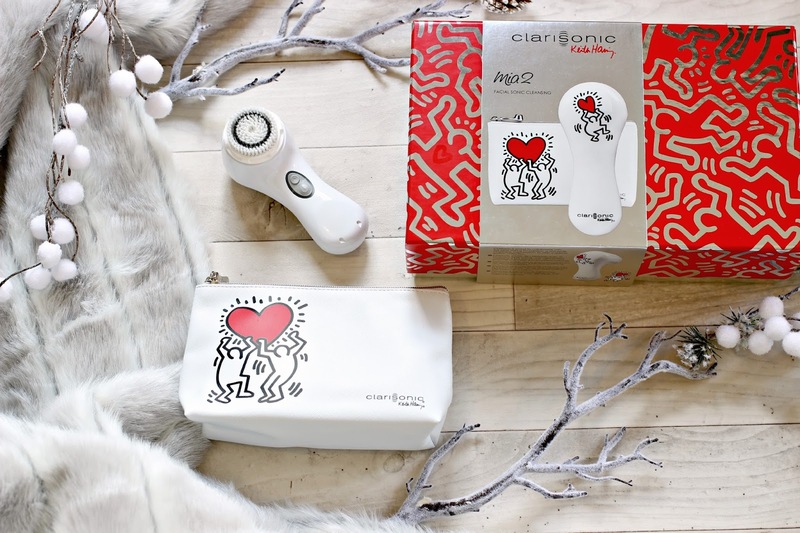 Using a Clarisonic is a game changer within your skincare routine and this limited design by Keith Haring with it’s adorable sketch and matching travel case makes it the perfect gift. Ah yes, here’s another one that you simply can’t go wrong with. 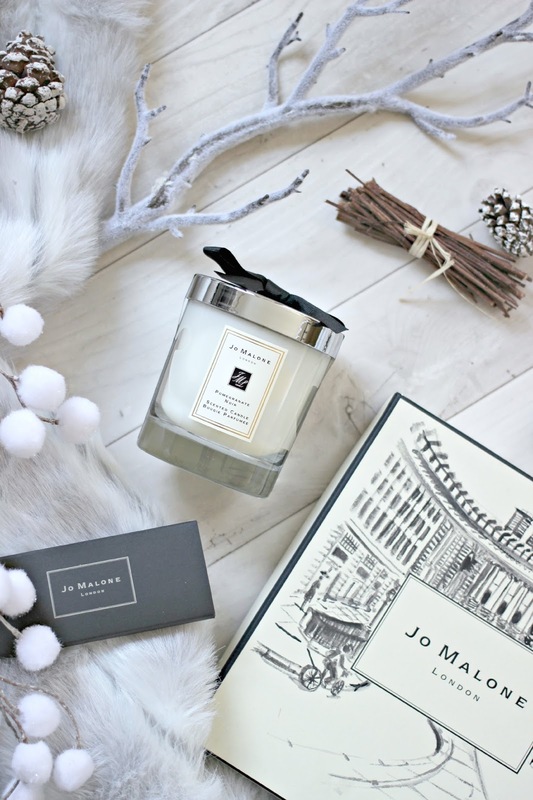 A Jo Malone London candle is on every girls Christmas Wishlist, and Pomegranate Noir is the most loved fragrance. A luxurious treat which looks (and smells) fabulous in any home, and if you visit the Regent Street Boutique on selected dates you can even have the box personalised or sketched like my London themed box above. As for gift sets, this year there are just so many to choose from! 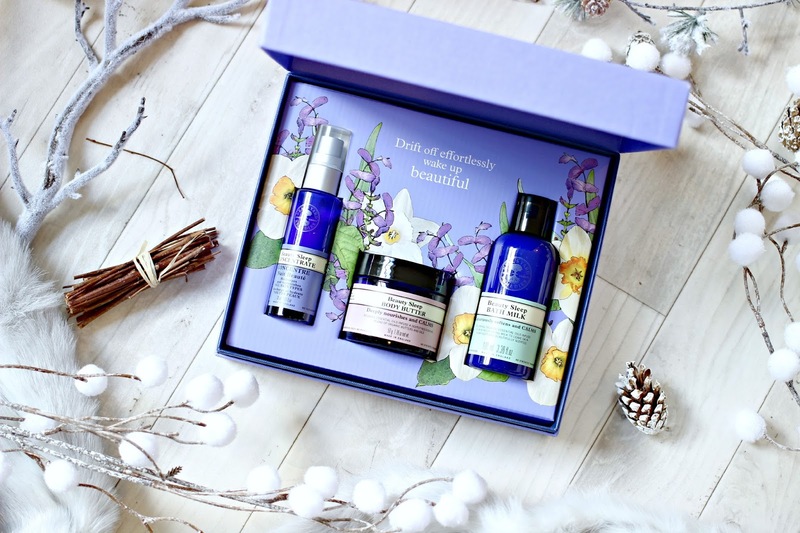 I also spoke about these in my Christmas Gift Guide video, starting with the Neal’s Yard Remedies Beauty Sleep Kit. 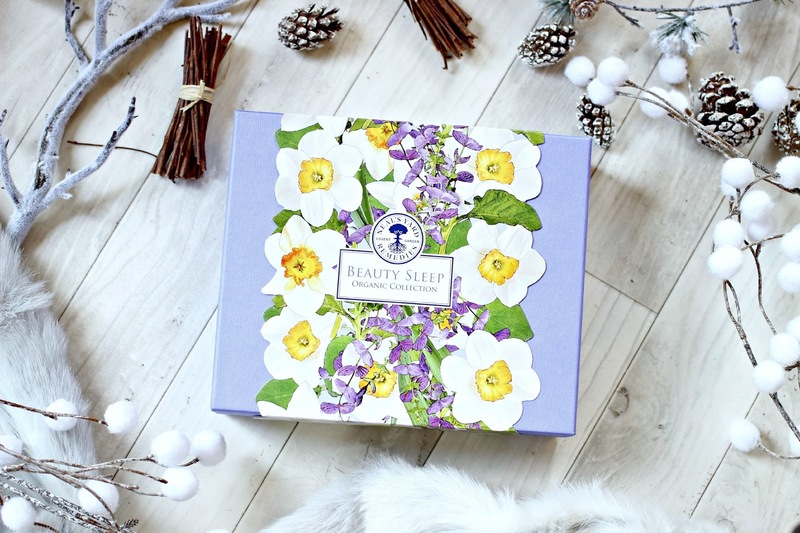 Containing a range of calming organic products to help you drift off at night AND wake up with silky-smooth skin, it’s a great gift for the one that’s too busy to stop and take care of herself, and deserves a seriously relaxing gift. 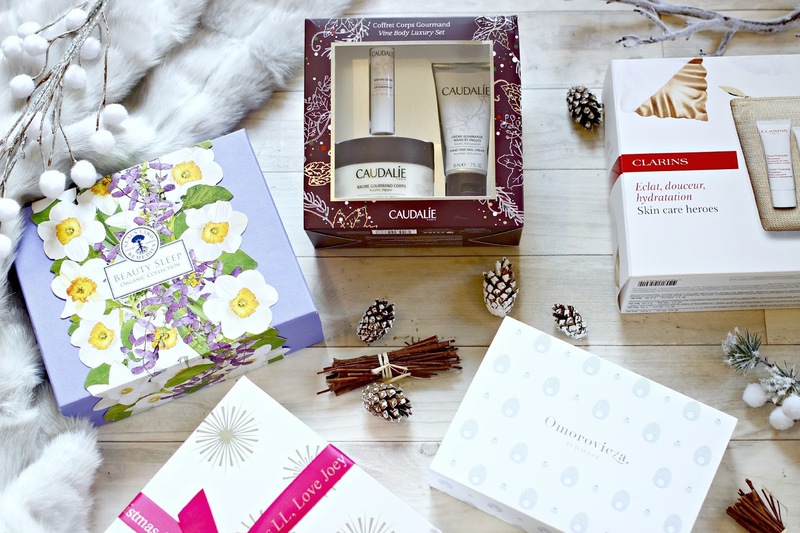 The Caudalie Vine Body Luxury Set is another super indulgent gift, of all their gift sets this year (of which there are quite a few!) this one is my fave, the products are rich and indulgent with a heavenly scent, and they are perfect for treating dry skin, or skin that just needs some deep nourishment in the cooler months. Ideal also if you are treating someone who is about to head away for some Winter Sun, as the ingredients make for an ultra-luxurious after-sun treatment! 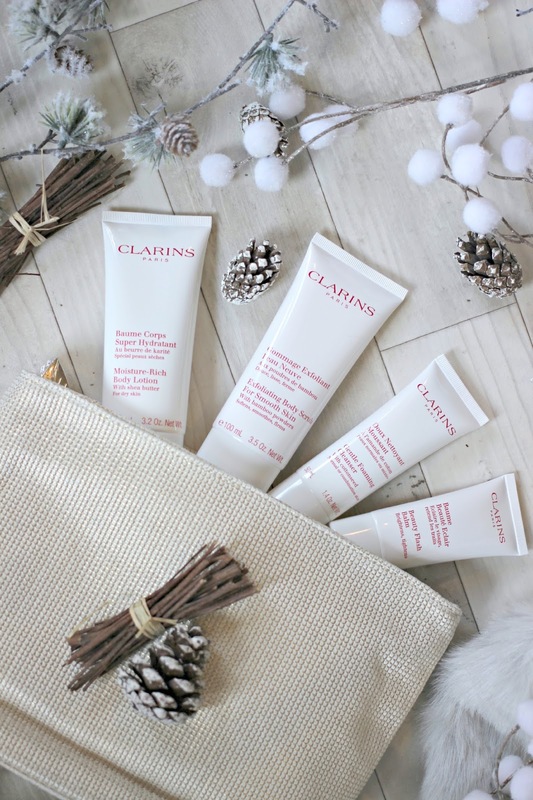 Clarins gift sets are always such incredible value, and you make a super saving on the individual value of the products. I chose from a huge range, and picked the Skincare Heroes as the one for this guide, as it features all of my absolute fave pieces, all in this beautiful wash bag. The Gentle Foaming Cleanser is also perfect for using with Clarisonic devices, while the Beauty Flash Balm is a cult favourite. I love treating myself to a pamper night with the Exfoliating Body Scrub followed by the Moisture Rich Body Lotion – and this kit contains them all! The Omorovicza Introductory Set is a great way for beauty junkies to discover the brand, or top up on their favourites if they’re already a fan. Containing the cult favourites including the Deep Cleansing Mask – with Hungarians Moor Mud which pulls all the impurities out of the skin, and the Queen of Hungary Mist – not only delivering moisture but also minerals which have anti-aging benefits for the skin. There’s also a Thermal Cleansing Balm which I’m yet to try but have heard about it’s greatness, as well as the cleansing foam and balancing moisturiser. Another one which you can not go wrong with is a set from The Body Shop. I mean, who wouldn’t want to open up this heavenly scented gift box, stuffed full of delicious strawberry pampering pieces! Presented in a gorgeous festive box, the Feel So Good gift set contains the Strawberry Shower Gel and Body Polish, a bar of Strawberry Soap, a bath lily and a scrumptious body butter. Plus, for every kit sold, The Body Shop help bring clean water to a family in Ethiopia. Another one which I chatted about in my Gift Guide video, the SmoothSkin Gold IPL kit is a perfect gift for anyone who loves an at-home beauty treatment, or has considered getting IPL at a salon. It’s the speediest kit on the market, and your whole body can be treated in 20 minutes. It’s also best to start IPL in Winter when skin isn’t as exposed to the sun, so the lucky recipient will be hair-free in time for Summer! 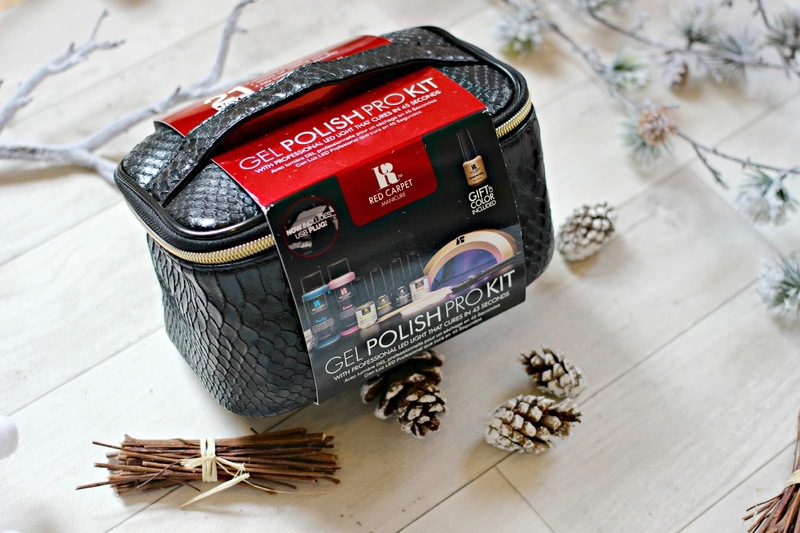 And finally, one which again you can’t go wrong with – the Red Carpet Manicure Gel Polish Pro Kit. Now with a gorgeous gold lamp, this kit means that you can give yourself a Gel Manicure at home – aka saving tons of money from salon trips! It’s incredibly easy to give yourself a manicure which will last 2-3 weeks with this kit, and it contains everything you need for your first manicure (and taking it off!) so perfect for the manicure lover, or the one that spends half her pay-cheque in the salon! Will you be treating anyone to these gifts this Christmas? What’s on your wishlist? Previous Post How To Create a Festive Table! Next Post 5 Easy Tips to Keep you Feeling Fab this Winter!